The AOC G2770PF is a gaming monitor geared towards those who want fast frame rates and a crystal clear tear free game experience. 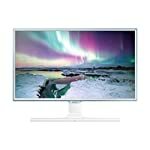 This model is a 27″ variant that runs at the full HD 1080p resolution. Whilst many are opting for 1440p at this size there is every reason to want to stick to good old HD. You won’t have to worry about scaling your apps to the higher resolution, and you don’t need a high end graphics card to get good frame rates, in fact the entry level current gen Nvidia and AMD cards are both able to run games very well at 1080p (although struggle beyond this). But this is a FreeSync monitor, so to get the best out of it you’ll need a FreeSync compatible card, which is most likely one of the current range of AMD GPUs. Due to the open nature of FreeSync the cost of building this technology into monitors is far less that the competing Nvidia standard. In fact I wonder if this will give AMD an important edge in the long run, I guess we will see. It is also capable of outputting 144 frames per second which allows for a beautifully smooth gaming experience. If you are still stuck with a 60hz screen you’re going to love the difference this makes! 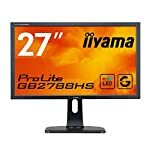 The G2770PF is a well connected monitor with all the standard sockets available, this is handy if you have an older graphics card you are waiting to upgrade or perhaps need to plug in other devices alongside your gaming rig. You’ll need to use the DisplayPort or HDMI connectors to take advatnage of FreeSync however, but any modern card that is compatible will have these sockets! 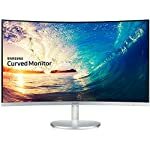 The monitor itself has a solid chunky appearance, to my taste its not the slickest screen out there right now but this is of course subjective. And in case you forget your connected to a gaming monitor there is helpful splash of colour to remind you to stop working and fire up The Division. The monitor has VESA standard mounting. Whilst a 1080p monitor won’t give you the sharp image you can get with 1440p, there is one advantage to sticking to HD. You don’t need a top end graphics card to get smooth frame rates, and when some of these high end GPUs cost more than the monitors themselves this is something to be thankful for. A decent mid range card should be able to get up to 144 frames per second and if you have an AMD FreeSync compatible card you’re guaranteed to keep in sync if the frame rate drops giving you a smooth tear free image during the most fast paced action games. This is a TN based panel which tends to be limited when compared to IPS screens, colours are not consistent when viewed side on for example. However TN panels have a great response time which is perfect for gaming. Just make sure you are sitting directly in front of the screen! We give the AOC G2770PF a 4.5 out of 5 rating. Want to know what existing owners of the monitor think? You can read real user reviews here. 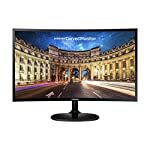 Should I buy the AOC G2770PF? The AOC G2770PF is an affordable gamer friendly model for AMD owners with a compatible FreeSync card (or someone planning to upgrade to one!). If you've never played on a gaming monitor before you're in for a treat. If you are having some doubts about this purchase then why not read some real owner reviews and see what other buyers think. Welcome to the AOC G2770PF FAQ. This section attempts to answer common questions you may have, please get in touch if you have any more queries or if you think our answers need updating. 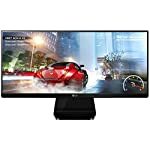 Can I run at 144hz with FreeSync enabled? Yes, yes you can. And you should too!